Matt’s mom came in for a visit. 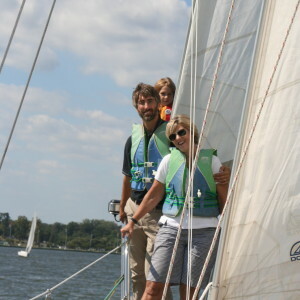 She arrived Thursday and we took her out for a sail up the Severn River. 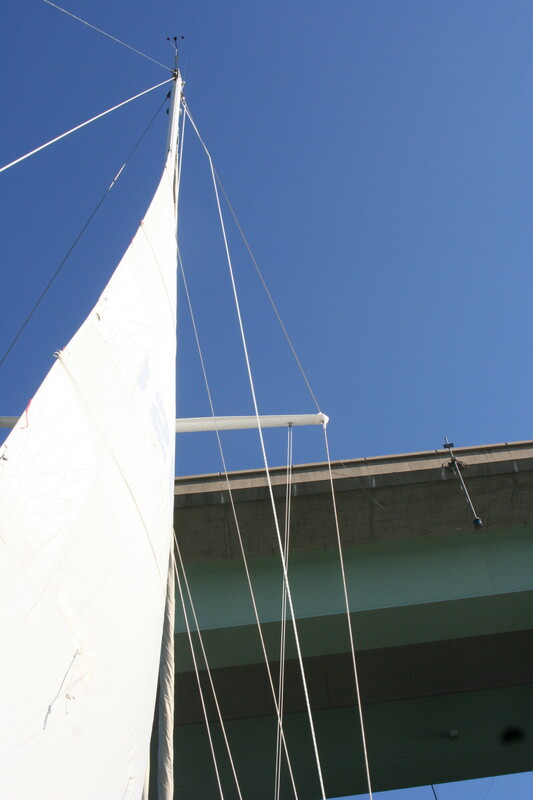 Passing under bridges is incredibly freaky – it looks like there is no way there will be enough clearance for the 58-foot mast and yet, somehow, there is. Matt checked the clearance ahead of time but didn’t make this very explicit. And then, upon approaching, started yelling, “Ahhh, I don’t know if we’ll make it! Watch out for the mast!” Poor Joshua started screaming “Dad! Dad! Turn around! Turn around!” and almost went into hysterics. 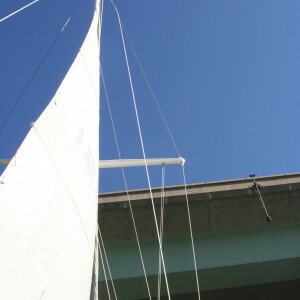 The optical illusion makes it seem for sure that the top of the bridge will pull off the mast. The actual sail was nice but we had a good scare at one point. Matt had gone up to talk to the boys and tell them to get back in the cockpit – at the last minute, he changed his mind and had them stay up front with his mom. I was at the helm. 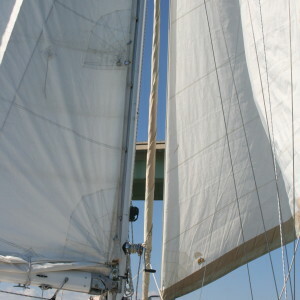 He then loosened a line and the boom came crashing down on the deck – right where the boys would have been. This could have killed them. Clearly, the gallows is going back up immediately. 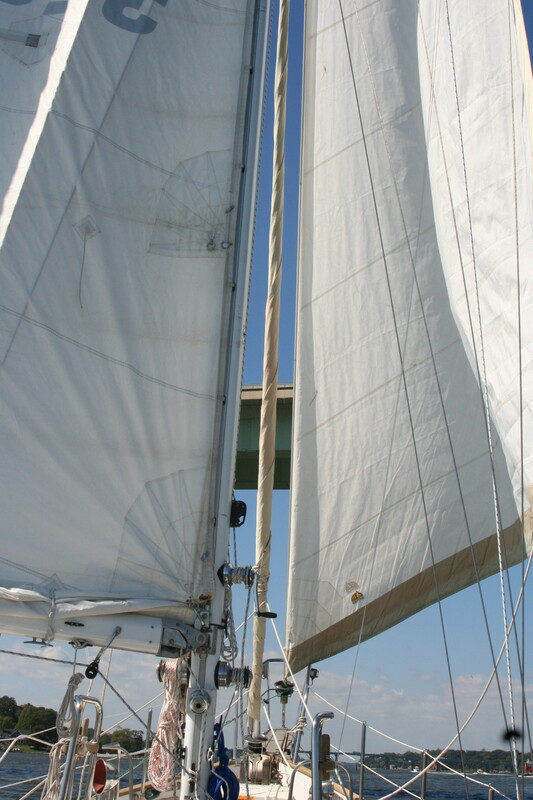 The sailing was good – we went up the river ‘wing-on-wing’ which is when there are two sails perpendicular to the boat – in opposite directions. It looks very cool from afar (but, alas, I’m on the boat and can’t capture that). Mom stayed on the boat with us Thursday night and then took the boys to Baltimore for a two-night sleepover (thanks Nannie!). This gave Matt and I some much-needed space to make progress on the boat (which immediately felt 8 times bigger without those two constantly-in-motion little bodies). 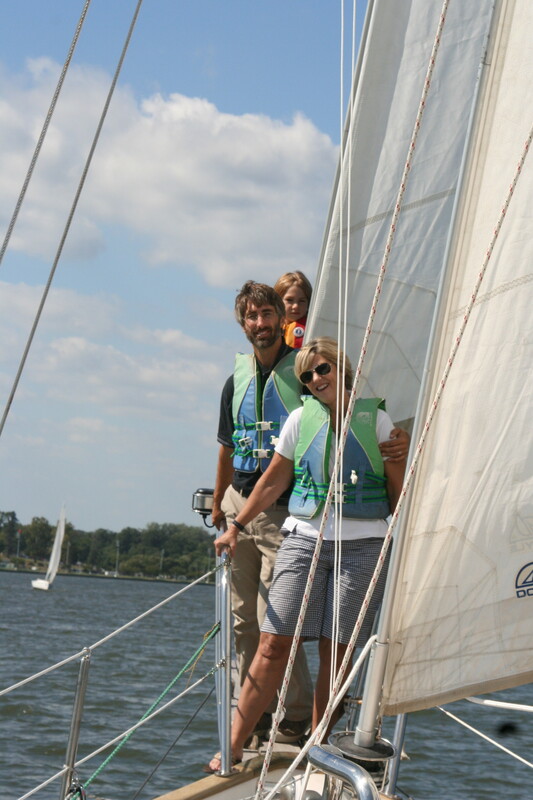 This entry was posted in Learning to Sail, Life on the Boat on October 9, 2013 by Diane.